This plant is an invasive exotic that is altering native plant communities by displacing native species, changing community structures or ecological functions, or hybridizing with natives. This species should never be planted (many with this designation are prohibited by law), and generally should be removed whenever possible. 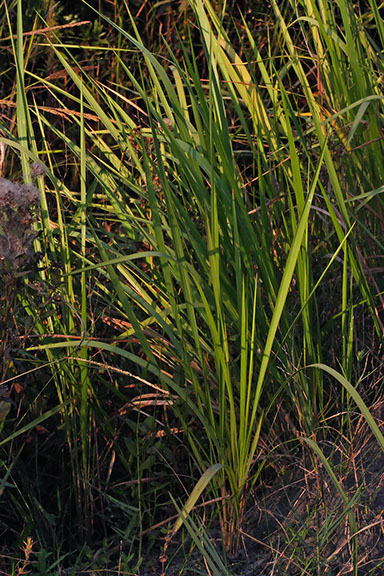 This southeast Asian grass is a problem invasive of wet hammocks, pastures, roadsides, old fields and other disturbed sites throughout much of the peninsula and parts of the panhandle. It is now also present in the southern coastal states from Texas to South Carolina, plus Virginia and Oregon. 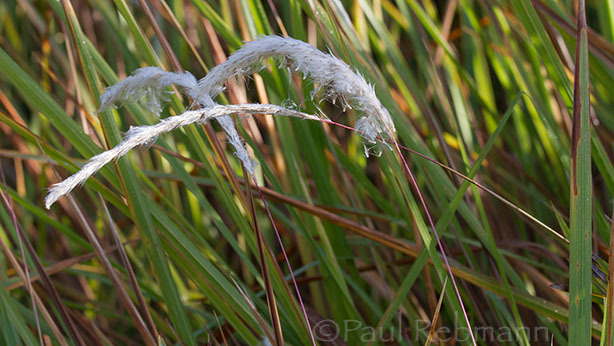 This grass has slender culms, growing to a meter (39 in.) or more in height with long hairs at the nodes. Leaves are usually less than a meter long, to 10mm ( 4/10 in.) wide, flat and glabrous except for hairs along the lower margins. The midveins are whitish and often off-center. The inflorescences are terminal, narrow, cylindric and silky white, to about 24 cm (9-1/2 in.) long. 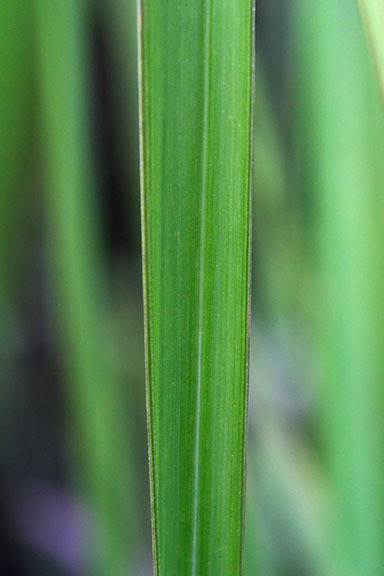 The spikelets are paired and awnless, up to 5 mm (2/10 in.) long, with hairs exceeding the length of the spikelet. 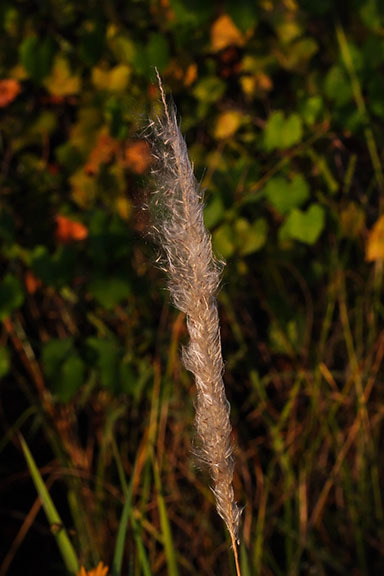 Propagated in the 1930's and 40's for forage and soil erosion, the prolific seed production and aggressive rhizomes allow cogongrass to quickly dominate a site. It produces a chemical that inhibits growth of other plants, crowding out native species, including pine seedlings. The sharp margins and silica crystals of the leaves make it unpalatable to both livestock and native animals. Imperata cylindrica is a member of the Poaceae - Grass family.